If you have questions about your vehicle type or want guidance on installing parts for your willys or jeep vehicle, Email Mike Meditz Directly. For questions about how to use this blog, or to send us your Willys stories, photos and news, please use the contact form below. Thanks! 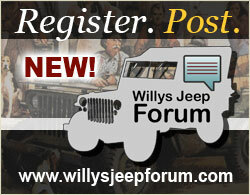 If you have any questions, comments or suggestions about the Kaiser Willys Blog, please use the form below. 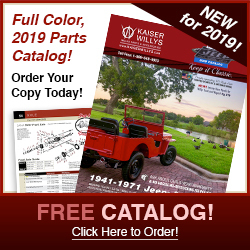 If you are interested in ordering Willys parts and accessories on our website, please visit www.kaiserwillys.com. Thank you for visiting our Blog! A mystery gift box appeard by UPS today and what an awesome surprise! I apparently won the week 3 drawing to receive this box of unique treasures. Inside we found an old view master with slides, an antique willys toy jeep, a comic book, charms, sticker and retro candy grab bag and a card. Enjoying smoking my candy cigarettes while clicking through the view master slides. Brought back some cool childhood memories. THANK YOU Michael and Merry Christmas to you and your staff. The wife and I are very pleased with the mystery box we won. I have purchased several parts from you for my CJ3b beeing restored – will send photos when finished, soon. Jeeps, too much hard ware, weight, etc. Wonder if electric could be usable. Any lead into improving steering will be welcome. Hi, I’m not sure I understand your question – We don’t have any overseas parts supply facilities, but we do ship internationally via USPS. Shoot me an email at webmaster@kaiserwillys.com if I can help you with anything else! Dear Mr Meditz, Do you have oversea willys parts supply facility? I will be very glad if you revert. Hi Luis, we’ll be happy to help you in any way that we can. Give us a call at Toll Free 1-888-648-4923 (Monday-Friday, 9AM-5PM, Eastern Standard Time) or you may call us directly at 1-803-648-4923 if you are unable to use the Toll Free line. 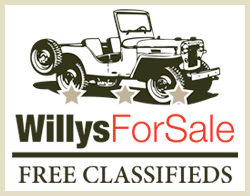 Another good place to look for a used jeep body is our classified ads website, http://www.willysforsale.com. Thanks an have a great day! 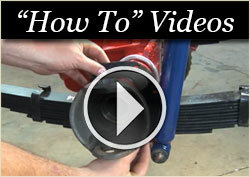 Great addition to your already great web page and parts catalog.